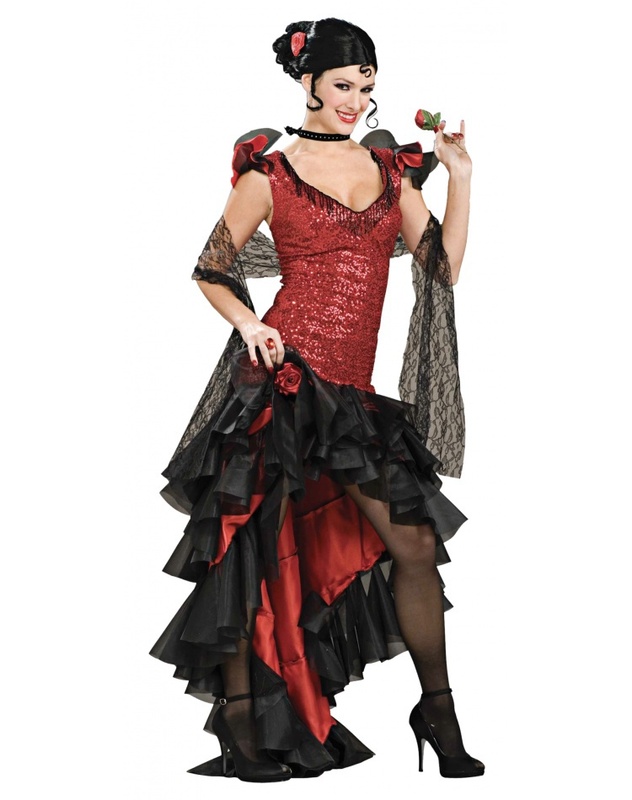 This spicy flamenco dancer costume for women includes the dress, lace shawl and clacker. Our flamenco dancer costume comes in adult sizes Small, X-Large, Large, Medium. The wig, pantyhose, jewelry and rose are not included with this Spanish flamenco dancer costume.